Il Best Western The Lagoon Hotel è situato nel centro di Manado. L'hotel è vicino alle principali attrazioni turistiche. Approfittate tutto l'anno del miglior prezzo garantito e di offerte esclusive. 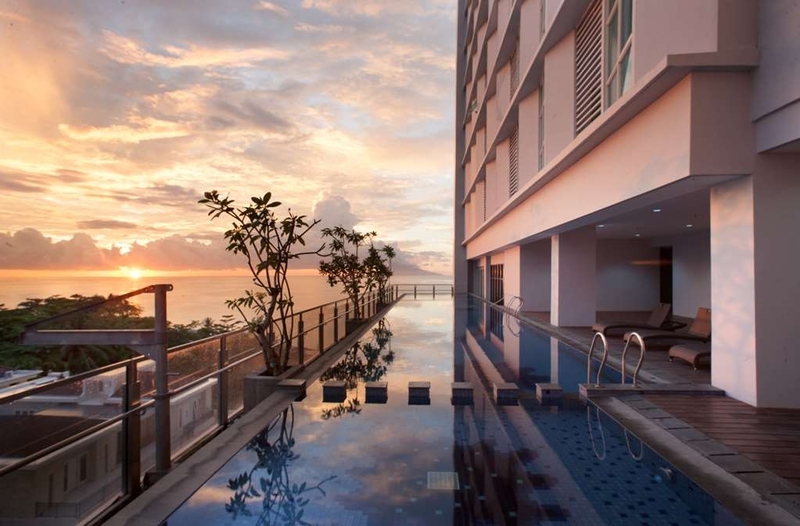 Il Best Western® The Lagoon Hotel si trova nella baia di Manado ed è circondato dalle montagne. Manado è celebre per le immersioni e lo snorkeling, soprattutto nel parco nazionale di Bunaken, riconosciuta una delle migliori zone indonesiane per immersioni. Questa destinazione non è famosa solo per le immersioni ma anche per le avventure, dalle escursioni sui vulcani al rafting su rapide e alla visita al parco naturale di Tangkoko Batuangus. La via principale di Manado è ricca di ottimi ristoranti in cui assaggiare piatti dal tipico sapore piccante ed è facilmente raggiungibile dal Best Western® The Lagoon Hotel per chi desidera scoprire le vivaci attrazioni locali. Il Best Western The Lagoon Hotel dispone di 187 camere moderne con una vista mozzafiato su Manado Tua, il viale Boulevard Beach e le montagne, e si trova vicino a negozi, aziende e divertimenti e a soli 45 minuti di auto dall'aeroporto internazionale Sam Ratulangi. Il Best Western The Lagoon Hotel si impegna a rendere il tuo soggiorno il più piacevole possibile. "Excellent view of the sea"
"I'll come back here "
The hotel location is awesome, The best place for view the beautiful of Manado. . The room was very clean bathroom & bedroom clean & fresh smells. interior was so good, so comfort for stay, The variation of breakfast was so many and the taste is yummy . I'll come back here again. I really loves the interior of this hotel. Awesome! Great and friendly staffs. Satisfied! 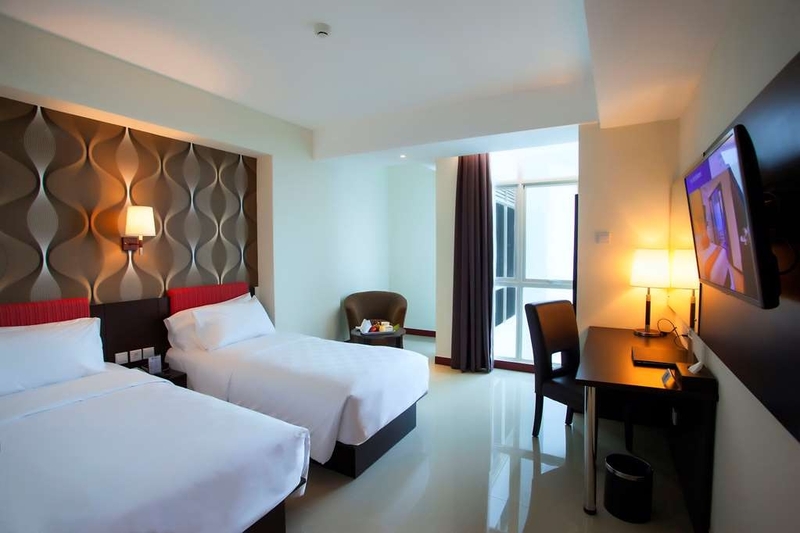 "First experience in this very recommended accommodation in Manado!" An amazing unlimited sea view! with the excellent service by the hotel crew! Thank you for the winning ticket of Parisian night best couple, gonna use it soon! Can hardly wait to come back here, wait me! Great experienced, feels like 5 star hotel with beautiful view. Hv professional staff and excellent services . The food is incredibly delicious, always excited for having breakfast. Credits also for the beauty of manado city. Stayed there for 2 nights and really wanted to go back. The room was clean, food was great, staffs were really helpful esp Mr. Novrico Tooy, he had been really helpful and thoughtful. He has the initiative to help me. Hopin to stay there when I go back! "The best hotel services I ever known"
This hotel services are the best. They served the guests with a humble and a kindhearted. Yet the room is well organized and love the smells of it. One more thing that I love the most is the view of the room to the sea of an old manado island ♥️ will come by again for sure. Good luck BW lagoon Mdc. Best Wetern The Lagoon Hotel has a perfect view because of its location is beside the sea and also lagoon is the tallest building in the city. 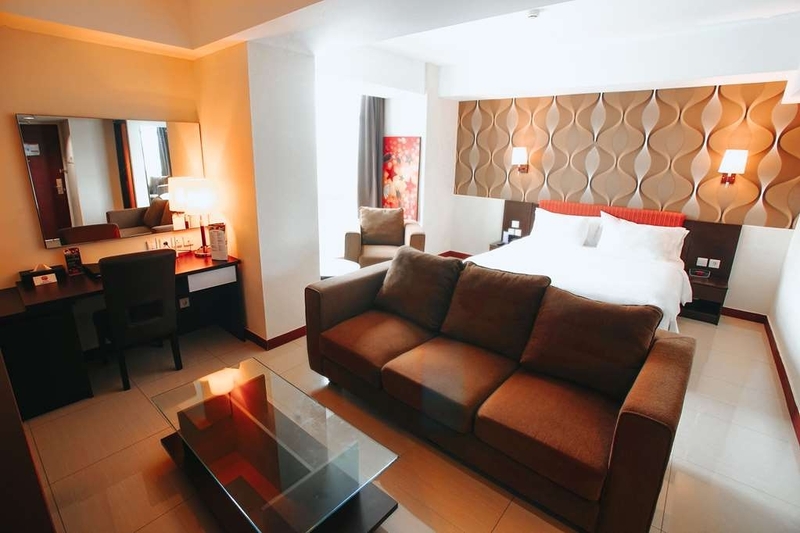 Best Western The Lagoon Hotel provide a good service and comfortable place to stay. The rooms are very cleans and best view at the poolside. Beautiful view from the 10th floor room, you can see the sea view and city view. Very strategic for those of you who like shopping, because it is close to shopping centers..
First timer coming to Manado, and get the recommendation when i surfing the internet. When i'm arrived at the lobby for check in, the ambience was perfect. I can see clearly the ocean view from the resto. And surprisingly, the view from the room is totally perfect, full ocean view also the room was clean. And when i search on google, this hotel is very near from the biggest Mall in Manado. Perfect location, because this hotel is very near from supermarket and cinemaxx too. Btw, delicioud food when breakfast time, especially Nasi Kuning dicampur rica roa dan cakalang. Very delicious! Highly recommended! Will coming back if i get a chance to go to Manado, again..
We love our stay here. The room was spacious with beautiful view, the staf was very helpful, and the food was very tasty and have so many choices every day. They have Bar and lounge next to the pool where we can chill in the afternoon with the view of Manado bay. We'll come again for sure. The service was better than most hotels in the area. The gym was very comfortable, with an amazing view of the seaside. You can watch the sunset from the swimming pool. The market is only a walk away. "Best View & Great Hotel"
if you traveling to Manado, this hotel is the best hotel to stay, best view, best room comfort, and great variety of food at the breakfast. love to stay in this hotel. if you bored you can walk around, many shop and bar around. you can also try public transport ( Microlet ) to go to Mantos only IR 4000. "Nice hotel with good gym"
I like this place and recommend ut. 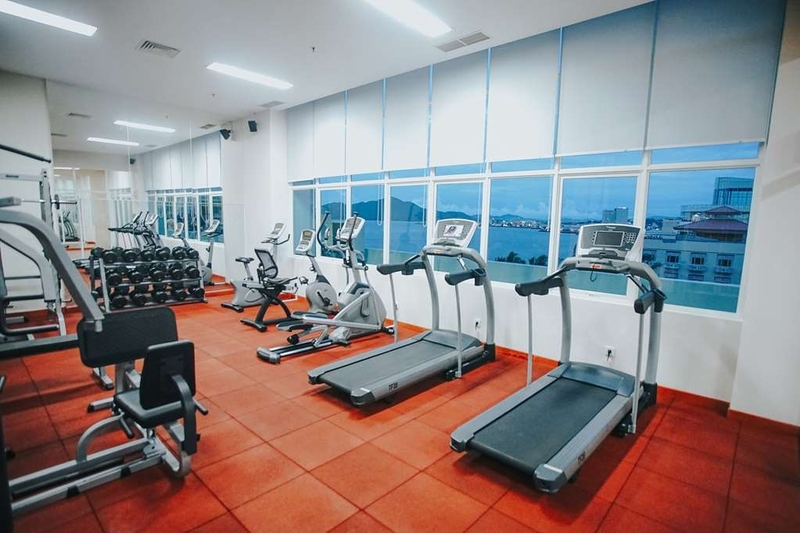 Friendly staff, nice view, clean gym and good pool. After my booking I have seen some bad comments on TripAdvisor and got worried. The staff even let me use the gym after my Check out. We confirmed our room but had to rejected due to overbooking and when we said to speak to the manager, the front office guy disappeared time and time again! it was highly unprofessional! there was no explanation and no reimbursement. My guest was fuming and we had to book him in another hotel. We have stayed here a few times and had also dined at the hotel but this experience was so horrid! I hope an intervention had taken place. Stayed 3nights in suite room but room was not good, 3 pm in the afternoon back to my room but they dont clean my room. The hotel only have 2 lifts but many guests (who doesnt speak indonesian nor english, but speak loudly!) Never back to this hotel. Food also not good. "Great sea view, poor room quality"
We stayed here from the 7th to 9th of Aug and were taken in by the ocean view we had. It was really gorgeous. The cafe at which we had our breakfast was beautiful too. Unfortunately the positive qualities of this hotel stops there. We had paid extra for an adjoining living room form of room and the aircon in our bedroom was not working at all. We called the front desk a total of 5 times and eventually had to go down to the front desk to get their help to check our aircon. While they were polite in their communication, they didn't take our request seriously. A gentleman came and said it was ok now and our room would cool up in 15 minutes. We left for dinner and came back after some hours only to be greeted by a non working aircon again. As it was rather late that night, we endured and had a terrible sleep in a stuffy room. It would have been cooler if we could open up the window and have the sea Breeze. Eventually we got the AM duty managers help the next morning and the Technician who came this time managed to repair the aircon. We do appreciate how promptly things moved once the duty manager was involved. We are thankful it was working, however we also wasted a good 3 hours waiting for the aircon technician to arrive on our first day and endured a very uncomfortable sleep. We were far from relaxed or enjoying our stay in the hotel. Unfortunately things didn't end there, our room floor was greasy and we had to wear bathroom slippers around the room. As we couldn't have them clean the room in the morning, we asked them clean it at 3pm. They agreed and just as we thought, the room had not been cleaned, there are no fresh water bottles or towels. We called to ask if they can come clean, they said yes, again and there has been no follow up yet. There is a significant lag in communication between the staff in this hotel and it's making holiday goers have both an unpleasant and stressful stay with them. To add, the hotel did not offer as much as a cup of coffee in compensation for the inconvenience caused to us. I would not recommend this hotel. Anyone who wishes to enjoy the sea view will have a much better experience doing so in the other hotels along the same stretch. The staff is very friendly and helpful, the facilities are still nice and well maintained, the pool is also there for the kids, near with the shopping centre, the breakfast is very tasty and satisfying, and we found a good spot for photos. "Today is just enough. Not another time"
I'm quite surprised with how bad the service here. 1. Check in process took a long time 2. The room floor was sticky & slippery. 3. Towel stained. 4. Only 2 elevators for 12 floors. Imagine how long it would take to get into the elevator. 5. Bbq buffet was terrible. Beef was as hard as an eraser. The quality of other food not good either. This kind of service doesnt impress me at all. Worst ever. "Not Best but Worst Western..."
Just checking in now for business purpose...arrived 14.50 and after waiting for 15 minutes behind other guests I was skipped by a tour group which the ladies FO promptly served. After complaim I was ask to sit wait for the key. 15 minutes later back the the desk complain and until total of 40 minutes complaining along with numerous guest checking in....was told another 20 minutes wait for the room. After tired of complaining we were given complimentary lunch by another gentleman who looks higher in rank. For a note the 3 ladies in FO fleed and escape to the back office once we all started complaining, they look incompetence and do not know what to do. This hotel really disappointing. Never have such experience at Peninsula or Aston Manado. If coming with family for leisure I will surely not stay here Btw 1 hour 10 minutes later I still haven't receive my room key but at least I am eating lunch. "Best worsten not western "
Terrible check in took over one hour and we did not get our room until 18:00 hrs. No explanation. We met a sales manager explained and where sent a fruit plate as apology. Horrible elevator situation. There are only two and one day it took us 30 mins to get to our room. Room was horrible and unclean. Bathroom never been cleaned. Shower filthy and room dusty, lamp broken and only one power socket worked. Floors all covered in red grout from recent tiling and despite booking a deluxe sea view months in advance the room we got had only a small side window on the ocean but a large picture window view of the road! Reception and concierge service was non existent but the breakfast was actually nice. It's a cheap Asian group hotel and we should have chosen elsewhere. Nothing in Manado and better to stay out of town. "They upgrade my room to suite class for one night"
i dont know for what reason, they change my room to suite class for 1 night only. maybe my room not available at that time. as a budget traveller, i never stay in suite room before. it is a funny experience. haha. for 2nd and 3rd night, i stay in a room with beautiful seaview. bed is clean and comfortable. they key card is needed to use the elevator but sometimes it doesnt work. and its not just me. but the best thing about this hotel is their breakfast and location. there is shopping mall just next to best western. things i like about this hotel: 1. good location, near supermarket, shopping centre, beach and various food court, etc. 2. awesome view from my room, 3. the staffs is friendly and really helpful. things i don't like : 1.check in took so long, 2. wifi in my room sometimes not working, 3. the elevator is so slow breakfast was just ok. This was my 3rd times to visit Manado for Business trip. This time they were provide my accommodation and stayed at Best Western the Lagoon hotel for 5 days. Apparently, this hotel is the tallest building in town, so just imagine how great the view was! Not only that, I stayed at Deluxe Sea View room which I don't know that I will get that "more than breathtaking" sea view. I let the curtain opened since the first day. The services also was great, the room service is affordable with super delicious food. They have infinity pool with sea view. The room is super clean with complete amenities. I will surely will be stayed at here again and I am highly recommend this hotel! We got the deluxe rooms with seaview which was amazing! New hotel, nicely furnished and clean! Great staff as well. Had few issues with wifi in both rooms which was resolved eventually. No air con in the corridor and there were queues and long waiting time for the lift. Overall, good stay. 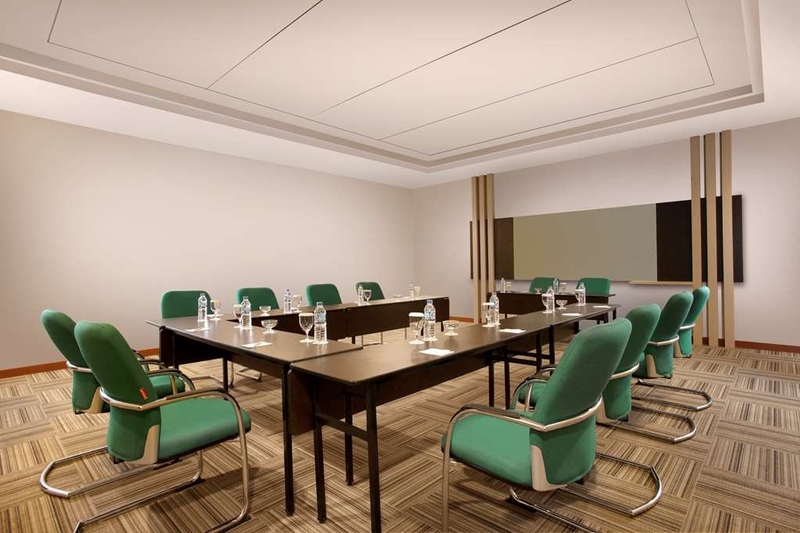 "Nothing western and not the best"
Best Western Manado is located right next to Maluku Sea. 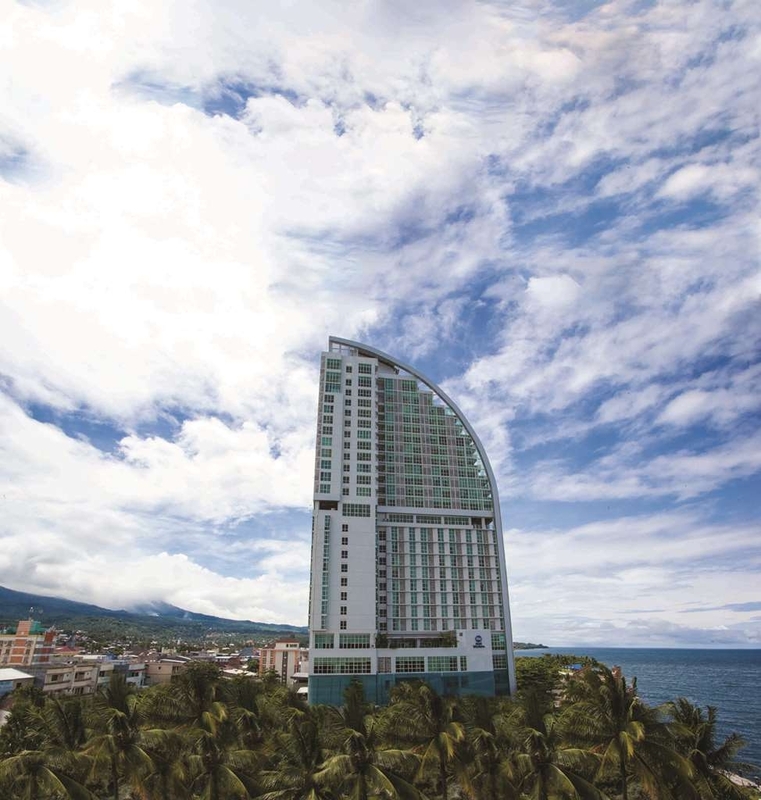 The building is the highest in Manado. It is opened recently in 2017. My room facing the sea and with all the big windows glass.... the view is fantastic. I could see the mountains, sea and the famous Bunaken. Bed and room is comfortable. They provided complete amenities. When I came it was dinner time. 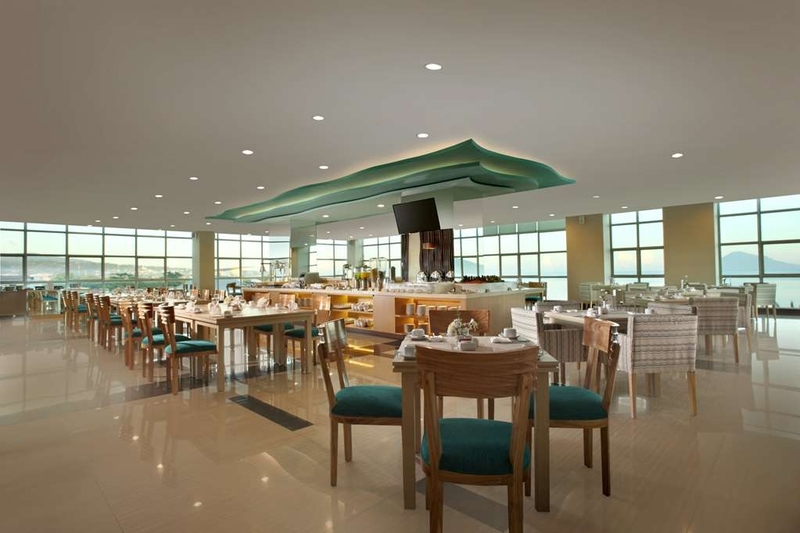 The hotel has 1 restaurant and provide a la carte dinner menu. Breakfast is buffet with Asian and continental buffet menu. Meanwhile the distance from the airport is around 45 minutes. The down part of this property is the access to the hotel on peak hours could be challenging. Traffic can be very bad. 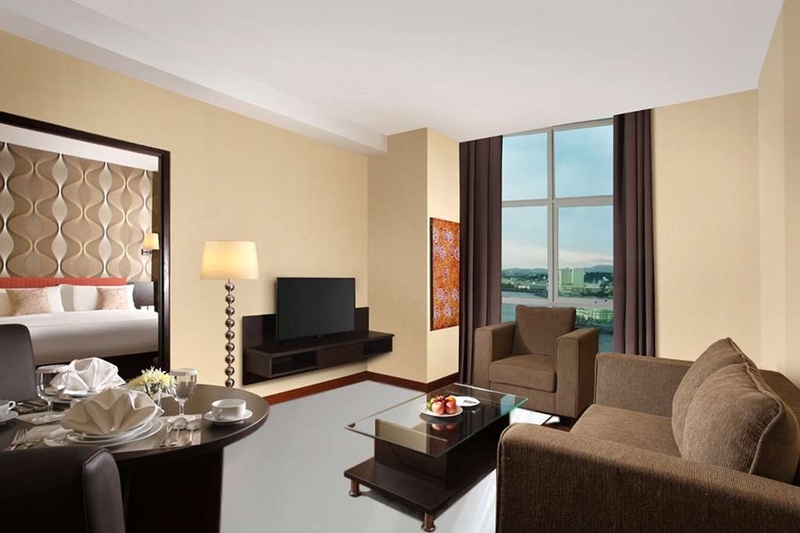 The hotel is very close to many restaurant and the biggest mall in Manado. It is in the central of business/shopping district. 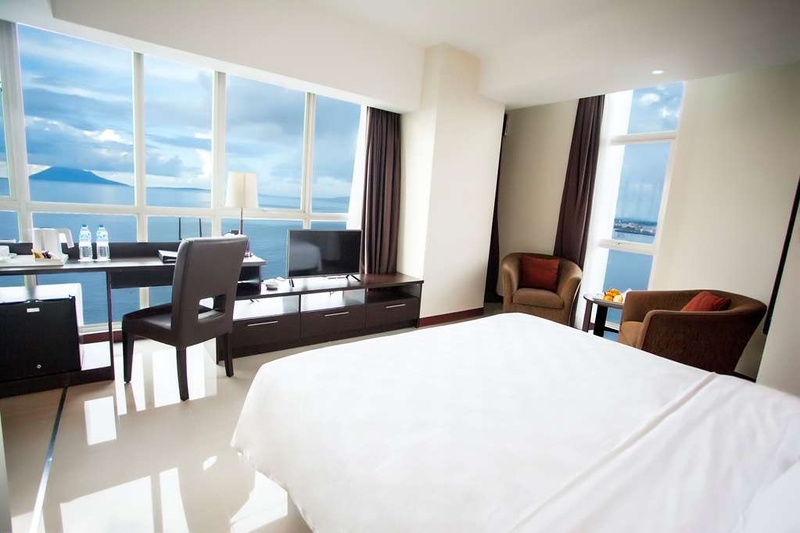 If you want to have the room with best view, Best Western Manado is the right place to be. 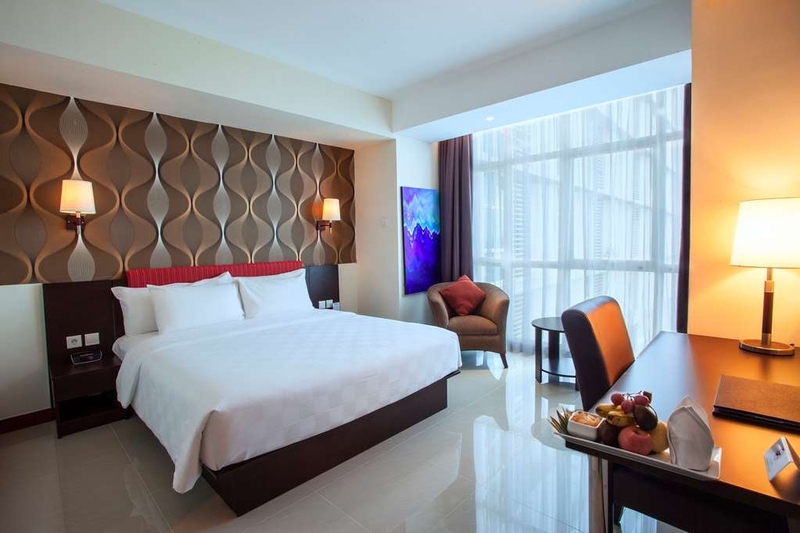 "New Construction, comfortable beds, next to the water within the heart of Manado"
The food service was slow, but everything else is Excellent. The staff was pleasant and kind. The breakfast was very good and I also was able to check in early. I will stay again at this hotel again if I return to Manado. "One of the best breakfast buffets in town"
The Best Western Hotel is not a cheap option but worth. The staff speaks good English. The rooms are clean and the room service works. We enjoyed the great breakfast buffet in the restaurant. Soon they will open a roof top bar. 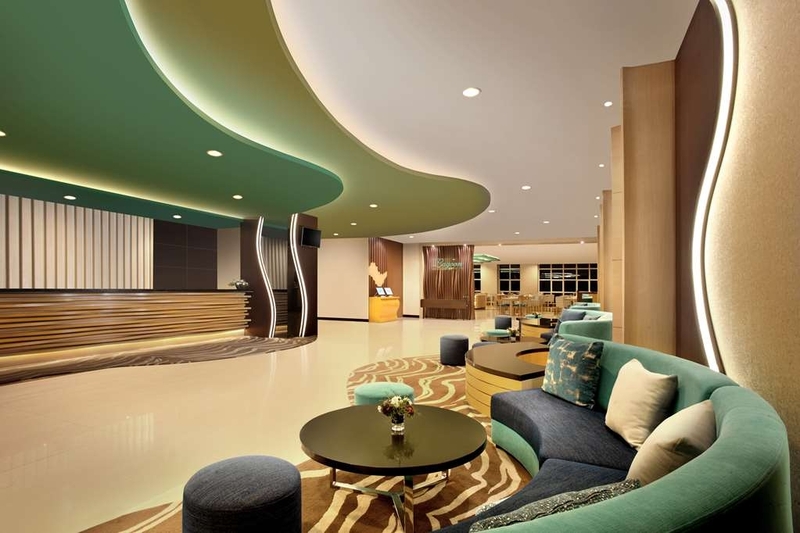 Sure we will visit Best Western in Manado again.